IN THE CLOUD Use iCloud to sync your device’s data with your other devices and computers. Apple says it has resolved a widespread iCloud issue that caused service disruptions for 40 per cent of its users -- that comes out to at least 128 million people, based on a company customer count. Several services, including iCloud Mail, had been running slower for some people, Apple said in an early status report. Apple later updated iCloud's status page to reflect that all services were working normally. The service issue lasted for around seven hours, starting at approximately 2:15 a.m. ET and ending around 9:30 a.m. ET, according to the service's status page. Apple didn't provide details on what caused the disruption or how many people were affected. However, the company said in a 2013 earnings report that 320 million people use iCloud, which lets them back up and sync information stored on Apple devices via the company's cloud. Other affected services included Back to My Mac; Documents in the Cloud; Find My iPhone, iPad, iPod touch and Mac; iCloud Drive; iCloud Keychain; iWork for iCloud beta; and Photos. Customers' comments suggested that some iCloud services, particularly email, experienced a total outage, contradicting Apple's claims that the problem was only causing slower response times. 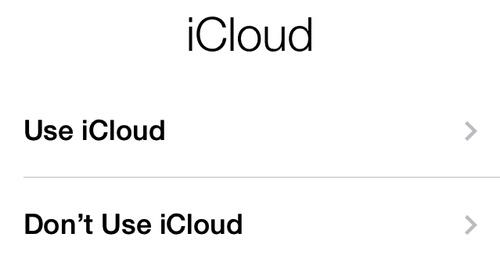 One user posted a tweet saying "iCloud is not currently slow, it's off and down." Other people reported similar problems with the mail service in the iCloud support forum, saying they received an error message when they tried to log in to their accounts.